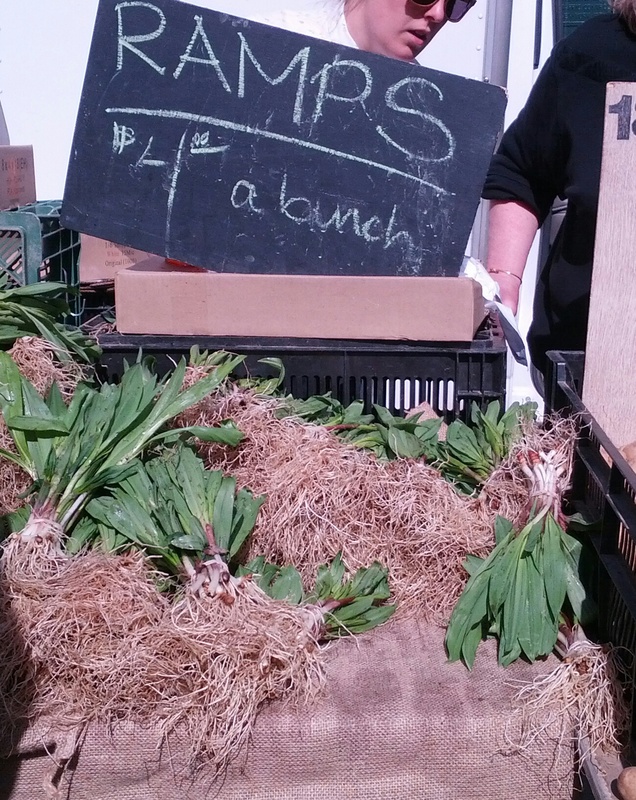 Ramps: back in all their pungent glory! And enjoyed in this evening’s lentil soup (those fancy new French lentils, of course) along with spinach, also just making its spring debut at farmers’ market. It’s that time of year again . . . ! 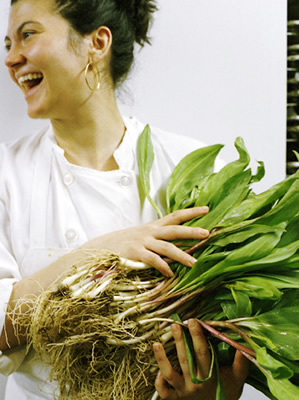 The three-or-so-week-long season of the springtime wonder food known as ramps is upon us once again! Otherwise known as wild leeks, these guys are a foody’s version of Popeye’s spinach, packed with all the spine and gumption a person needs for the “cruelest month” (April)! It’s still on the “brisk” side here in NYC, but the tulip trees (or what I call the tulip trees) are starting to bloom and even more significantly, ramps have appeared for their annual ultra-short but gastronomically acclaimed run at the Union Square farmers’ market. Ramps (read more about them here), otherwise known as Allium tricoccum and A. burdickii–or wild leeks–are super-delicious in omelettes or sauteed with mushrooms and served on polenta . 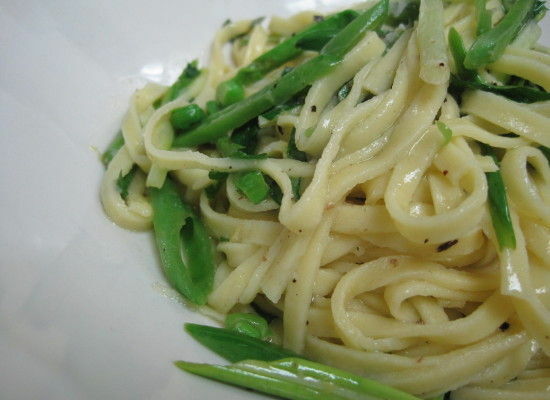 . . whatever a person does with them, there’re a sure sign that spring is here: as I was buying mine at farmers’ market on Saturday, all of the other shoppers lined up for them were exclaiming — ah, ramps! spring is here! That was yesterday; today, I logged some bike miles getting ready for another NYC spring event: the Five Boro Bike-Ride! 42 miles, through all the boroughs of New York City, starting in lower Manhattan and finishing there too by way of the Staten Island Ferry, and made possible (for me) by Amy and Lib’s being able to do it with me (yay)! So today I rode ten miles–up to 86th street and back on the bike path–next week I’ll go further! It was super super windy today; see windy-ness exhibit A at right (the flags!). Before Amy and Lib come to visit, though, Arcadia will be here–to see the Bonnard “Interiors” exhibit at the Met–more anon on that! !